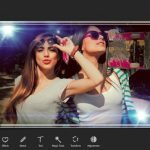 Today we will highlight one of the best photo editing apps for Windows on the market. 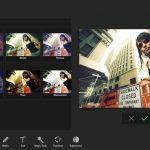 It might not get as much coverage as Photoshop etc but KVADPhoto+PRO is a solid image processing application for photographers of any level. Let’s take a deeper look into why it is worth your time to download and install. 150+ unique filters in categories: ‘Lomo’, ‘Vintage’, ‘Simple tone’, ‘Black & White’, ‘Old Style’, ‘Cold tones’, ‘Warm tones’ and ‘Art’. 200+ amazing special effects: shadow, fabric, watercolor, rust, frames, scratch, light, fire, water, heart, brush, noise and many more. 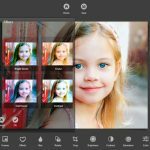 Apply set of beautiful digital frames to your photos. Available packs: ‘Holiday Frames’, ‘Christmas Frames’, ‘Summer Frames’, ‘Valentine’s Day frames’. Artistic filter Sketch enables you to turn pics into beautiful work of art. 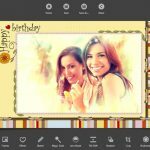 Collage helps you combine multiple photos into amazing looking frames with 50+ adjustable templates, adjustable borders, frames, corners and backgrounds. Magic Tools contains: Auto-Levels, Area-Auto-Levels, Lens Boost and Tilt Shift. Rich set of photo adjustment tools: color, temperature, brightness, contrast, hue, saturation, blur and sharpen. Transform tools: resize, orientation, rotation and crop. Save and share the result image in different sizes and formats (jpeg, png, bmp, tiff).